Successfully Added M8S "Spectra" Quad Core TV Box - 4K Support, Quad Core CPU, 2GB RAM, Kodi, DLNA, Airplay, Miracast to your Shopping Cart. The Cortex A9 Quad Core CPU along with 2GB of RAM and an Octa Core Mali GPU make this a very powerful TV box for the price. With 4K resolutions supported its totally future proof and ready to get to work on your 4K TV. This means that as 4K TVs become cheaper and more readily available you can enjoy all the latest sports and movies. While the GUI is perfectly fine to use with the remote control you can easily add a Bluetooth mouse and keyboard for entering internet searches or playing games. Google Play store will offer you lots of option in this department and with 2 USB ports and a Micro SD card slot there will be plenty of storage options for all yoiur content. 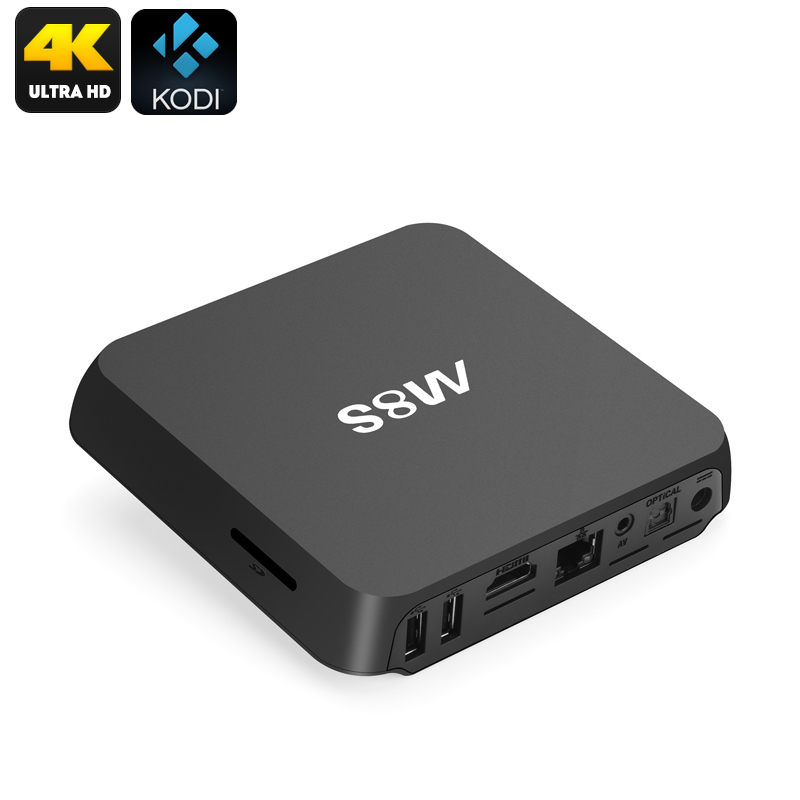 Having XBMC / Kodi out of the box makes this TV box super easy to set up and allows you to access countless channels from hundreds of sources so you will never be short of anything to watch or keep you entertained. DLNA, Miracast and Airplay are all supported on this TV Box so you can wirelessly play content from your phone or tablet making it great for sharing photos and movies or for putting your favorite games onto a larger screen when your at home. The M8S Spectra TV Box has enough ports for all your peripherals so connecting speakers and extra storage won’t be a problem. The wireless receiver is fairly capable although there is a wired RJ 45 port if you prefer faster connection speeds or where Wi-Fi isn’t practical. This M8S Spectra TV Box comes with a 12 months warranty, brought to you by the leader in electronic devices as well as wholesale Android TV Boxes..